Rolling acres of grassland used to stretch across the U.S. Historically the shortgrass, mixed-grass and tallgrass prairies covered about one-fifth of North America. Today, much of the historic range of grasslands has been lost, but grasslands continue to provide rich habitats for birds, fish mammals, insects and plants as well as key ecosystem services, such as capture of carbon and water. Learn about this ecosystem and how scientists, citizens, local ranchers and farmers are working together to manage and conserve this important habitat. 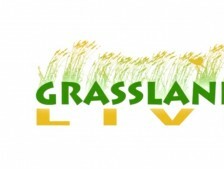 Go to https://GrasslandsLIVE.org for videos, lesson plans, citizen science projects and more. Rolling acres of grassland used to stretch across the U.S. Historically the shortgrass, mixed-grass and tallgrass prairies covered about one-fifth of North America. Today, much of the historic range of grasslands has been lost, but grasslands continue to provide rich habitats for birds, fish mammals, insects and plants as well as key ecosystem services, such as capture of carbon and water. Learn about this ecosystem and how scientists, citizens, local ranchers and farmers are working together to manage and conserve this important habitat. 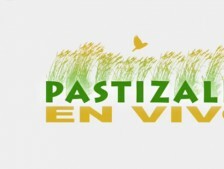 En el pasado, grandes extensiones de pastizales cubrían a Norte y Sudamérica. Históricamente, las praderas de pastizal corta, mixta o alta cubrían la quinta parte de Norteamérica. Hoy en día se ha perdido la mayoría del área cubierta por los pastizales.